I don’t know if I’ve mentioned it here, but a couple of weeks ago I got a job as the manager/director of my local farmers market. My first day was this past saturday and I absolutely loved it. It’s pretty much my dream job, I love the sense of community and small town charm the farmers market provides. But since I’m the director, I can’t have a table. But my mom can! So I’m still baking up a storm all friday and tuesday to get ready for the market days. I’m in the process of finding recipes that are easy, cost effective, and delicious. My local apple orchard had gotten some peaches in, so I decided to try out a peach bread. The bread it’s self was very good, but my poor peaches just weren’t ripe enough, not sweet enough. 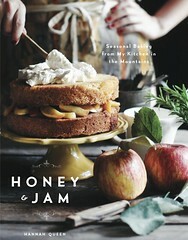 I’d definitely recommend making this though, if you have some ripe peaches. 1. Preheat oven to 350 degrees F (175 degrees C). Grease and flour two 8 x 4 inch loaf pans. 2. In a large bowl, beat the eggs lightly. Blend in the sugar, oil, and vanilla. Add flour, baking powder, baking soda, salt, and cinnamon; mix just to combine. Stir in the peaches and nuts. Pour batter into prepared pans. 3. Bake for about 1 hour (mine only took about 45 minutes. ), or until a tester inserted in the center comes out clean. Congratulations on your job! It sounds like a lot of fun, and just right for you. That's so nice that you have a job that you will enjoy! Your bread looks delicious. And the photos are scrumptious. That job sounds wonderful. Good luck, and keep up the great baking Hannah! what a cool job. This sounds really yummy- Have you thought about mango bread? I used to work at a bakery that would make that and it was so so good. p.s. my blog, The Transplanted Baker is currently defunct. It was removed (gasp! tear!) by blogger unexpectedly on Friday and I'm in the process of starting up a new version of The TB. Just getting the word out. Oh, and congrats on the job. It sounds awesome and perfect for you! It's nothing like getting paid to do something you love and have fun doing. I love farmer's markets, went to my local one today. That bread and those peaches look good. That bread looks yummy, despite the not quite ripe peaches. I wish you the best of luck with your sales at the farmers market. guauu! your blog it's so beautiful!! Those peaches are just gorgeous and the bread is just as beautiful. Lovely job! congrats on the job, it does sound like a dream. the peach bread looks fantastic! 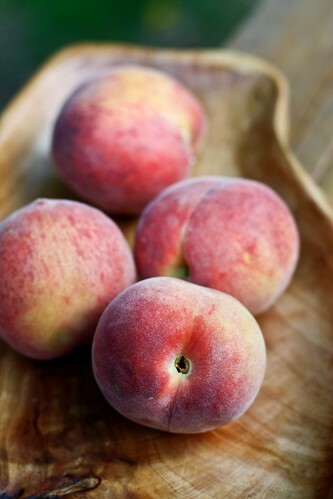 i love, love peaches. Your photos keep getting better and better! Seriously, Hannah. 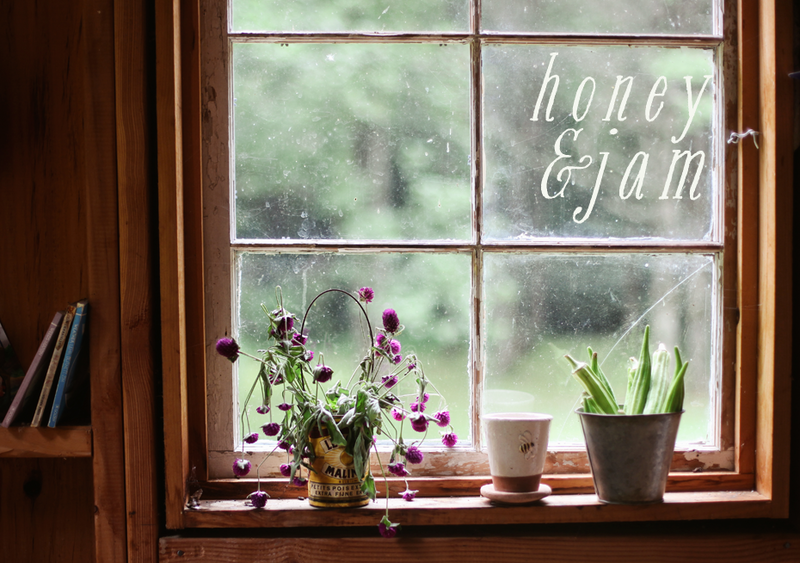 You could land a job at Sunset or Southern Living, no problem. Girl...you're good! Your blog makes me love the internet all over again. You are so talented! Congrats on the job! 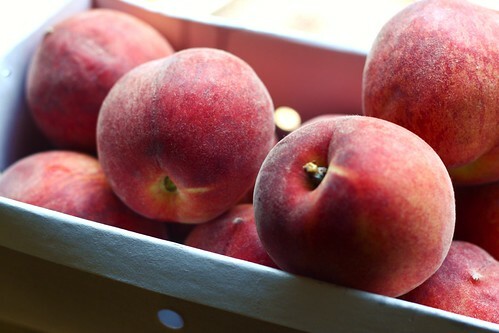 These peach pictures make me excited for summer. that bread looks great! 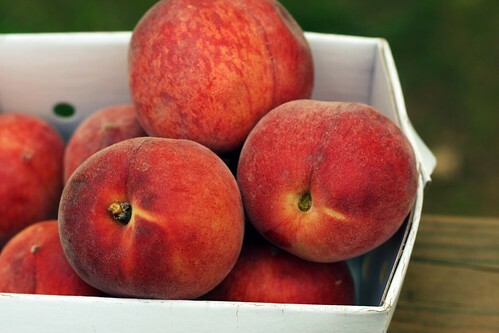 i'm still waiting for peaches to show up in kentucky. hurry up, peaches. Yeah for you! The peaches look great and the bread looks very yummy. It is fun to do something that you love...probably doesn't even feel like work. Hi! Just wanted to tell you that I really enjoy your blog! Yay Hannah! How fun to get to work for a farmer's market! 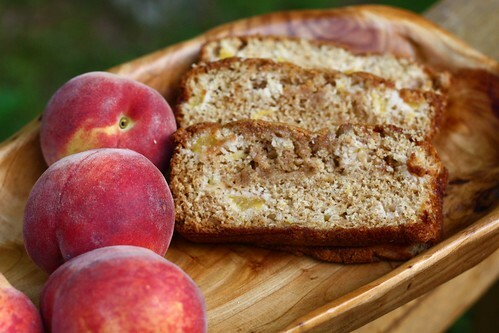 This peach bread sounds perfect for the summer -- great pictures too :). Mmm, I'm looking for a good way to put a huge flat of strawberries to use. Made a quick bread a couple of days ago but wasn't thrilled. I really like the healthy sub here (applesauce) so I might have to test this out, strawberry-style. Thanks for sharing! This is great!!! I used fresh peaches right off the tree, only used 1 tsp cinnamon. Absolutely delicious..moist, flavorful, freezes nicely and very easy to assemble.